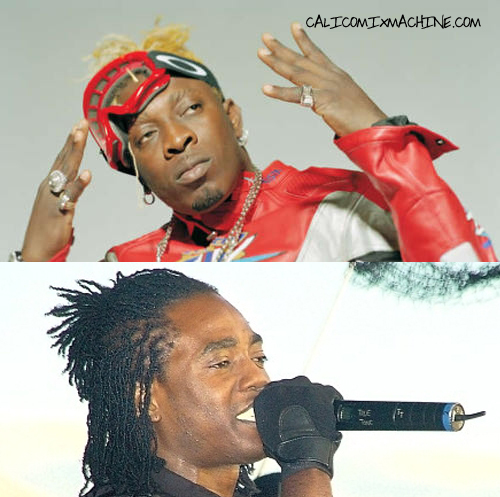 dancehall artist Kiprich vs Elephant Man. Once upon a time, not so long ago, Elephant Man did a song entitled The Truth Hurts, the chorus of which goes, “them say the truth hurts/who cyaa take it haffi splurt/run lef dem pants an’ shirt”. The first deejay Elephant Man dropped a line on was KipRich, the man he squared off with in the Celebrity Face Off at the Famous Nightclub, Portmore, St Catherine, last Thursday. In the song, Elephant Man deejayed, “KipRich yu know yu head big like Bubbla breas’ dem”, but in the selecting clash Kippo went to the heart with dub plates about Ele’s much storied encounters with the Jamaica Public Service Company and his numerous babymothers (an introduction by a woman demanding that Elephant Man provide for the baby). There were also his looks, KipRich unleashing a Major Mackerel dub of Shaka Zulu, stating, “pretty looks done, Elephant no get none”. But the dagger to the heart was a dub plate from Elephant Man’s former Scare Dem Crew colleague, Harry Toddler, which said, “Elephant dress like girl”. To his credit, during the musical onslaught, with the crowd howling at each tune and KipRich bouncing in triumph, Elephant Man did not give up or even lose his composure. He said, “my shame tree dead. Mi cut it dung, mi bun di root!” Addressing some past rumours and allegations squarely, Elephant Man said “mi tief light, mi have AIDS, mi care zero”. There was also a time in the first round when one jibe about Elephant Man went terribly amiss, as one introduction about the allegations that there had been a number of men swimming in Elephant Man’s pool went amiss and the boos resounded throughout the club. And although KipRich had by far the bigger moments in the all-important final dub for dub segment, Elephant Man took the opening juggling round and would have counted himself very unfortunate to have not taken the second round by a clear margin. Two judges scored that round a tie at six points each while the third had Elephant ahead seven points to six. The final score was KipRich 48 and Elephant Man 44. Elephant Man’s juggling round was a gem. Opening with Buju’s take on The Lord’s Prayer, he followed with Garnet Silk’s Splashing Dashing and Sizzla’s Rise to the Occasion. His speeches were fitting and timely as he worked through Jah Cure (Girl) and Chronixx (Jamaica) selections, through to I-Octane’s Straight and Clean, which took the house down. A black glove with hints of glistening material held the microphone and Ele’s close-fit camouflage shirt and bandoliers announced his war intentions, as Elephant Man closed round one with Bounty Killer intoning “you dead dis time”. KipRich looked more dapper than warlike in his attire (not that the women seemed to mind). He dropped a take-off of Little John’s Mud Up, directed at Elephant Man, faltered on the six men in the pool allegation, and recovered to end on a high. In the second round, reserved for 45s, Elephant Man was in his element. Coming out with a doubled-up belt, he spoke about KipRich’s ingratitude. “Mi carry him pon MTV, BET. This is the turnout? This is the result? That’s why mi mark my X. When them no have no manners yu fi do this!” Ele said, slapping the air as KipRich’s own determination to “cut him off” played. The club was in a frenzy and Elephant Man continued in the same vein, to very strong results, playing Shabba’s Respect admonition in an excellent round. “KipRich a no Sting dis. Yu haffi have charisma,” Elephant Man said. Saying that KipRich should have manners, Elephant Man played Buju growling “a we guard oonu life an oonu no know,” and again the shot hit home. In response KipRich played two songs which instructed to “call the hearse”, one by Bushman and the other by Terror Fabulous. He dropped Ele’s own determination to send the attack “inna yu face” ending with Kartel and was very lucky to have the judges score a close round. Then came the dub for dub and the deadly trio of dubs from KipRich, the one about electricity coming first, done nine-night style (“KipRich yu kill Elephant tonight, hallelujah”) and the “ay ay ay” picked up by the crowd. Still, although clearly on the losing end of the round, Elephant Man did not roll over and die. A Bounty Killer dub among the effective shots he retaliated with. However, a dub of Louie Culture’s Bogus Badge(“Elephant been through hills and valleys”) did not help the case. Still, Ele was so eager to keep on fighting that he grained “Oh God!” when he was about to play another dub and was told that he had finished his quota. At the end of the face-off, there were handshakes and smiles all around.